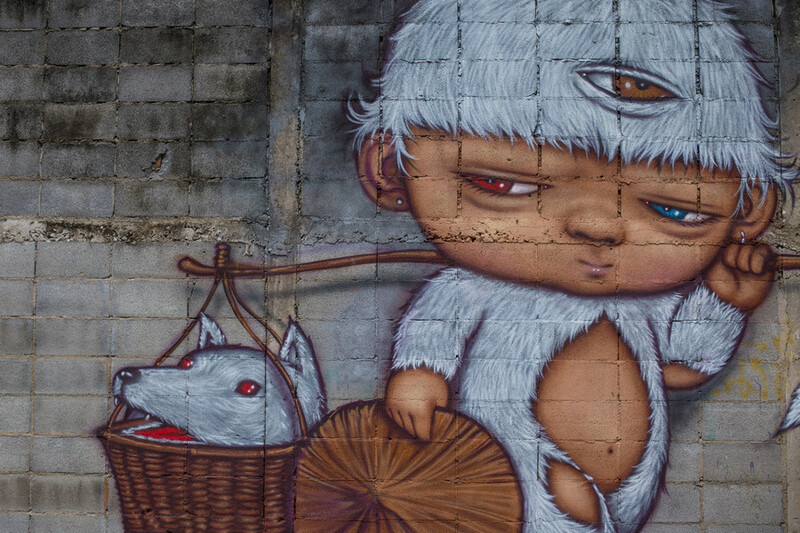 Do you love finding alleyways filled with murals and street art? Neither confined to the walls of museums nor having to follow anyone’s rules, these murals and graffiti sometimes have political messages, sometimes just splashes of colors but always give us a glimpse of local culture. The independent artworks may have been spray painted by anonymous creatives or thoughtfully created by famous graffiti artists, who like to express their ideas in a platform that is not always inside the guidelines of conventional society. From Banksy in the UK, Vhils in Portugal, Blu in Italy and Roa who adds multiple layers to his pieces – are defining this new urban art movement through their Street Art Around the World. The popularity of this artist expression is increasing that these day you can find some amazing murals in the streets of many large cities and towns. While graffiti is usually made up of written words that are meant to send a covert message hidden in plain sight, street art usually includes images and illustrations that are meant to convey a message. Blank walls, rocks and old silos become the canvas where the artist is free to express their creativity using vibrant paints and bold brush strokes. While the snap happy social media influencers love these for their background value, and the images make the rounds on instagram and other social media, the artist painting these works of art are not doing it for fame or money but most often to make a statement or to spread a message. Like other forms of Modern Art, these murals makes you stop and ponder…..
Street art is capturing the global attention of travelers, artists and art critics, and seems to be fueling a new kind of tourism. 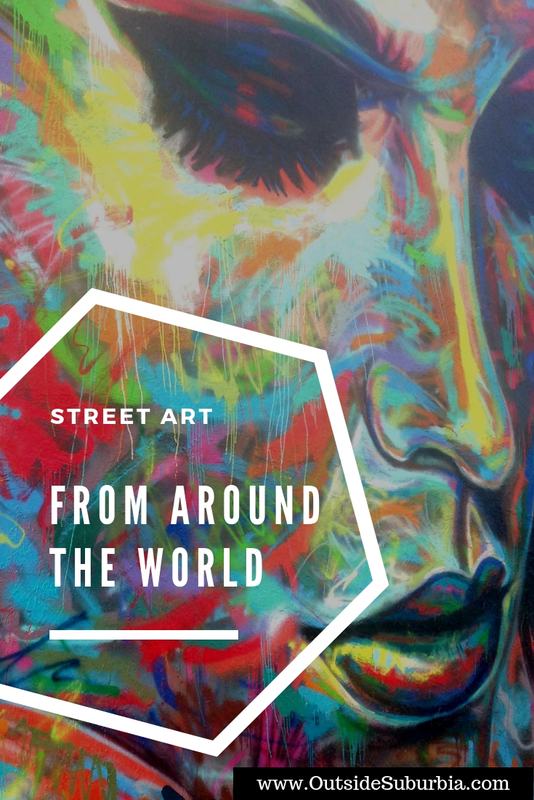 Here is a comprehensive list of places where you can find some amazing street art around the World – photos taken by travel bloggers during their travels, along with tips on where to find these wonderful and sometimes whimsical street art. 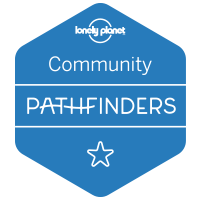 This list seems to be growing since I started collecting them, cataloged by continent for an easier read, Enjoy! 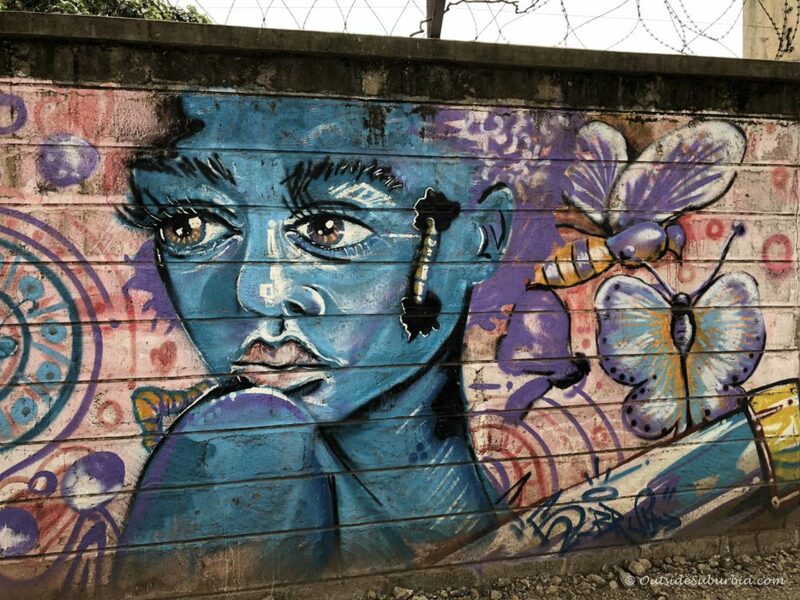 While there are plenty of wildlife encounters and other fun things to do in Nairobi, if you are looking for some colorful murals – plan a visit to the Kenya Railway Museum. The main collection here is housed in an old railway building and consists of relics from the East African Railway. There are train and ship models, photographs, tableware and oddities from the history of the railway, such as the engine seat that allowed visiting dignitaries like Theodore Roosevelt to take pot shots at unsuspecting wildlife from the front of the train. In museum grounds are dozens of locomotives in various states of disrepair, dating from the steam days to independence. You can walk around the carriages at your leisure. At the back of the compound is the steam train used in the movie Out of Africa. The walls of the long lane beside the old train station that leads to the museum is filled with colorful murals. 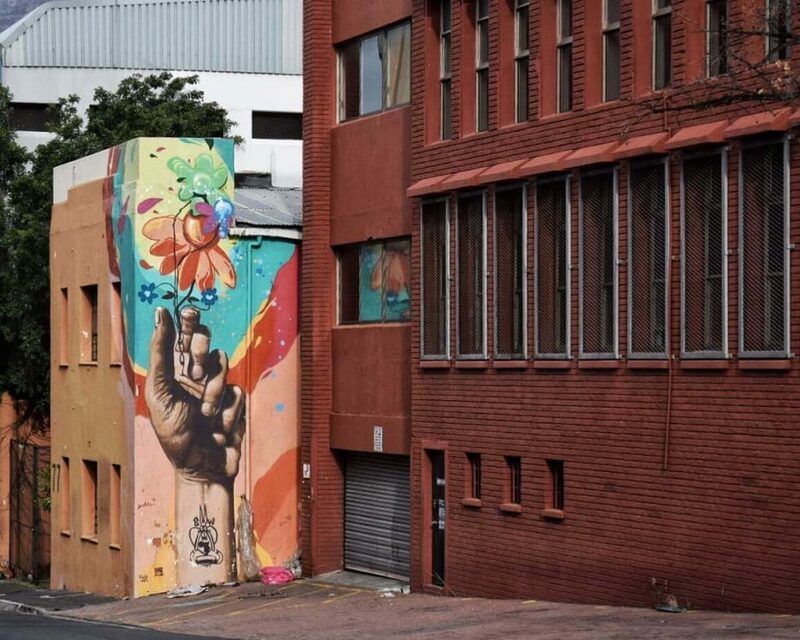 Street art can be found anywhere in Cape Town, the incredible Mother City of South Africa. I came across this piece on Shortmarket Stree, in CBD district, quite randomly actually, as I was walking around Bo-Kaap, perhaps Cape Town’s most charming neighborhood thanks to its lovely colorful houses and cobbled narrow alleys. I later learned that it’s a work by Falko Starr, often considered to be Cape Town’s Banksy, who is a strong believer in street art as a form of self-expression, as well as a social and political statement, especially in the time of apartheid. Woodstock another hip yet gritty Cape Town neighborhood where the tiny side streets hide fascinating street art with everything from superheroes to political statements and some amazing wildlife murals. 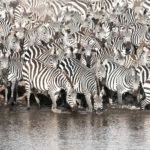 A popular one here is the Rothschild giraffe, one of the species most endangered populations, and its message which reminds us of how fragile the incredible wildlife of Africa really is. Located on the slopes of Ghatkopar hills on the Andheri-Ghatkopar link road, a small village called Asalpha was hardly known to anyone till few years back. Now the hillock has become a tourist attraction and grabbed attention of all, who marvel at its work. A group of 750 volunteers came together to paint walls and create murals at the Asalpha hillock. 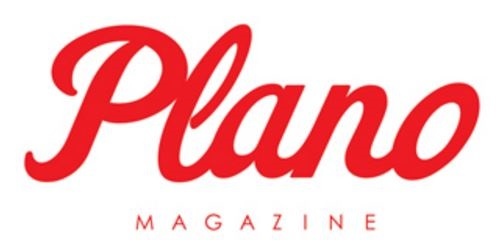 The idea was to change perceptions around slums and their residents. Fondly called the ‘Positano’ of Mumbai, the landscape consists of many elevations, and the road leading up to the top from LBS Marg is a steep uphill climb. 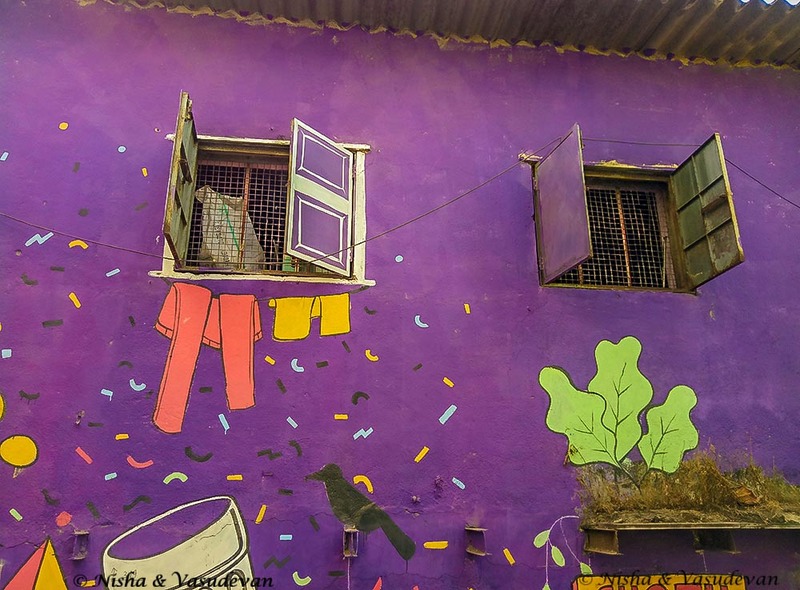 The transformed dramatic look of Asalpha slum with interesting murals everywhere has become the topic of discussion for many. 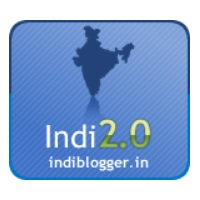 From drab to dramatic, that’s how one can describe the transformation. It’s a work of art. If you walk through this place, you just see that it’s really inclusive and it’s really intimate, like you get out of your own house and you’re into someone else’s. 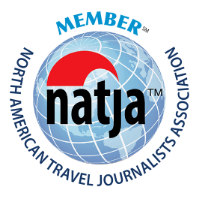 There are several curated tours for people to visit this village. Asalpha is connected by BEST bus routes to Ghatkopar & Andheri railway stations. Fort Kochi, the coastal town of Kerala, is India’s largest hub for international and local artists. One can see Portuguese, Jewish, Dutch and Keralite influences on the canvas of this former European colonial port. 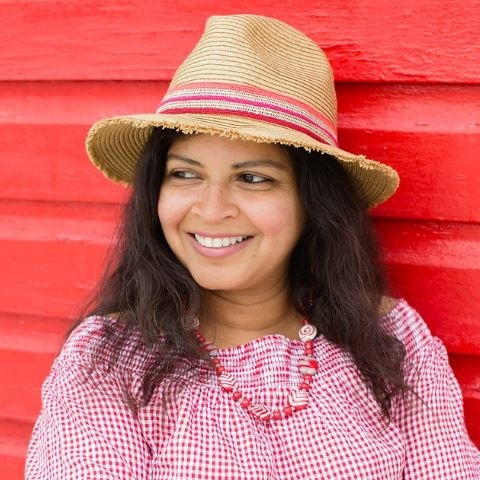 During the annual art festival, Kochi-Muziris Biennale, the little town is swathed in colours from various palettes. 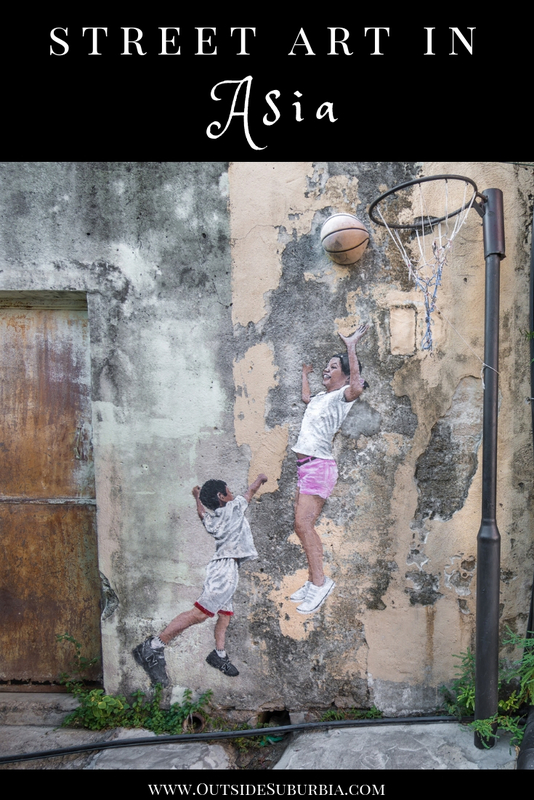 Even though the art fest lasts from December until March, it is easy to spot creative works throughout Fort Kochi all round the year. If you wish to tour all the pockets full of artwork, start from Aspinwall House – once a warehouse for traders. Cabral Yard is another location to look for 3-D murals. Only 20-minutes from Fort Kochi, the predominantly Jewish area of Jew Town is almost an extension of the art scene of its neighbour. The narrow bylanes of this old town are full of walls that are anything but bare. Most of the paintings reflect the local sights and activities of the indigenous people of Kerala. 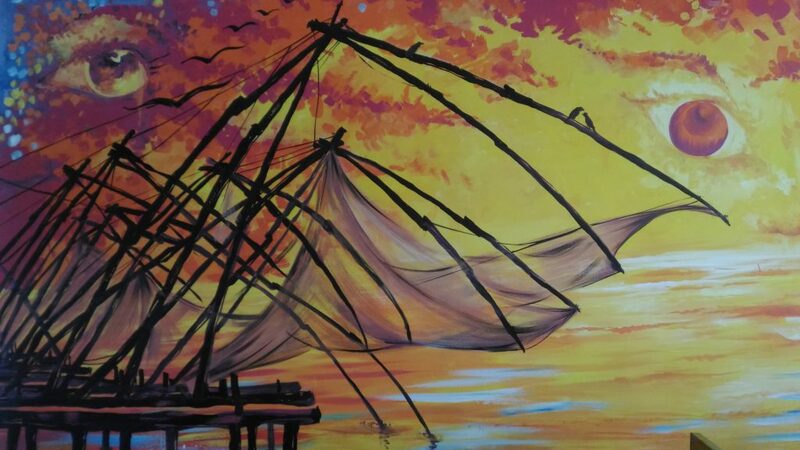 It is quite common to come across vibrant illustrations of Chinese fishing nets or the backwaters or the busy streets at the marketplaces. Street arts are rare in India but I was quite fortuitous to have caught a glance of it in Hyderabad,India. I found it near the Ramoji Film Institute and I was surprised to have witnessed such a beautiful art in the heart of the pearl city. The art was that of a Goddess Durga whose festival is celebrated with grandeur throughout the country in the month of October. 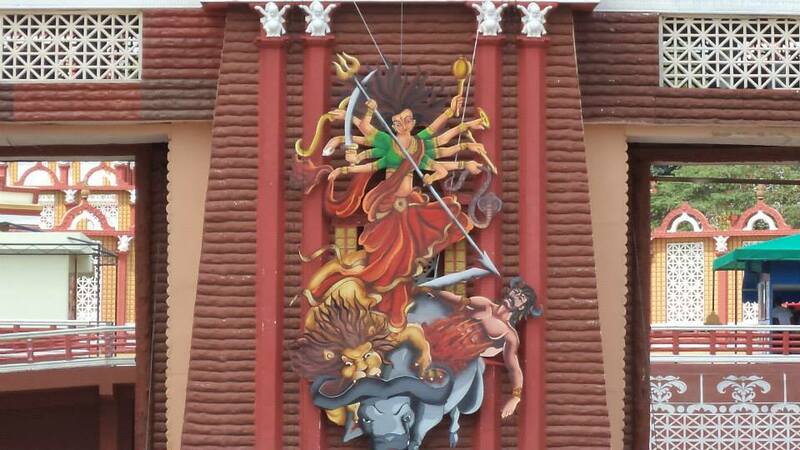 The art signifies mother Durga destroying the devil Mahisasur with her weapons. The mother is sitting on the lion and the devil is fighting with a weapon seated while on a buffalo. The art work display the skills of great artisans in the country. Ipoh is located in peninsular Malaysia about four hours drive north of Kuala Lumpur. 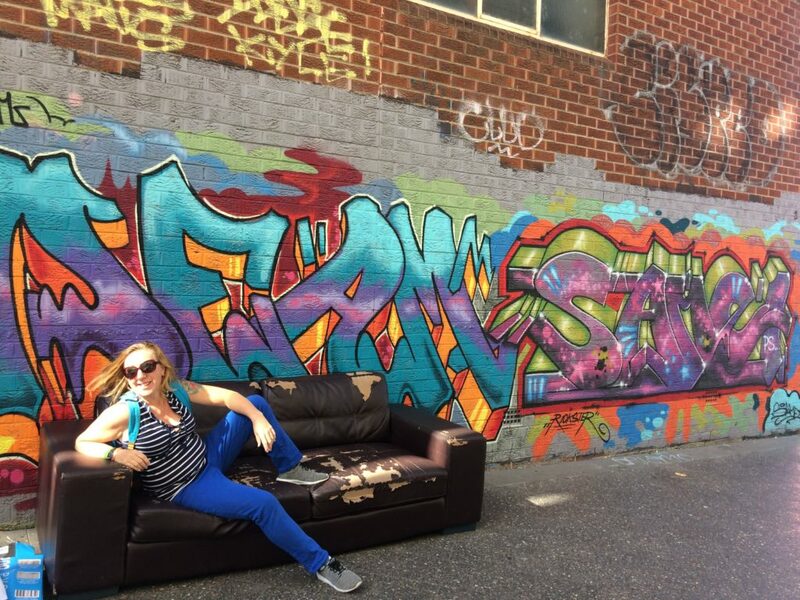 It is the perfect place to visit if you love street art. Ipoh’s Old Town has some amazing street art scattered around. There are so many murals that you can walk around discovering it for yourself without any problems or you can visit the Tourist Information Centre for a map. The three Concubine Lanes are a good place to start. The street art are murals which mostly show scenes of people. You can find friends having a beer, a fruit seller laying out his wares or an ice cream seller in action. For bonus points, you can also head to Mural Art’s Lane in the New Town where there are more murals. If you want even more, stop at the Burps & Giggles cafe. Most walls in this cafe have murals. 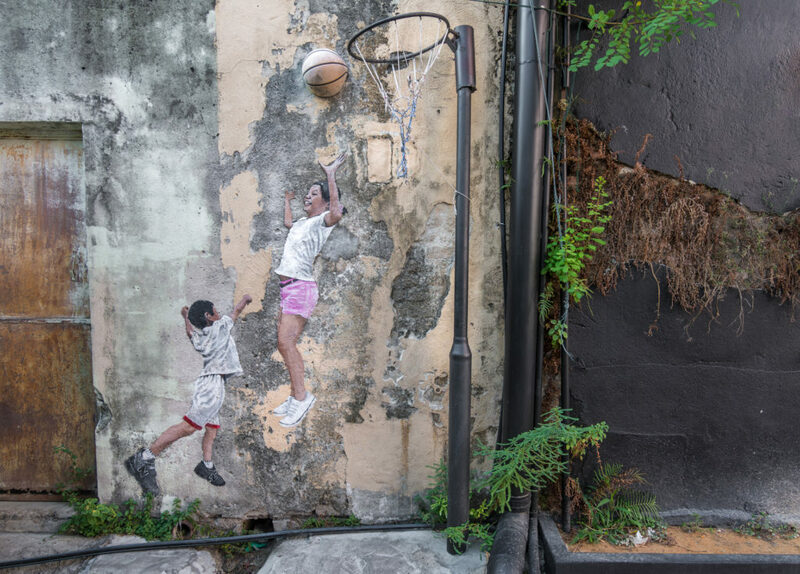 Georgetown in Penang, Malaysia has some of the best and most creative street art in the world. It is the Lithuanian artist Ernest Zacharevic who did most of the art works that can be found here. Some of his most famous works can be found at Muntri Street, Weld Quay, Lebuh Leith, Armenian Street, Ah Quee Street and more. It’s very impressive, and some of the most famous art works include the giant mural of the “little girl in blue” and the children on a bike and swing. They make perfect spots for instagram photos as well, and it’s so much fun walking around in Georgetown to admire the street art. Most of the art pieces were finished in 2012, and since then other artists have done other murals as well. Street Art is common in this historical colorful city. Most of the street arts are concentrated in the tourist area, mainly Jonker Street and all along the Melaka River. One of the most noticeable murals is the painting of Nyonya ladies. 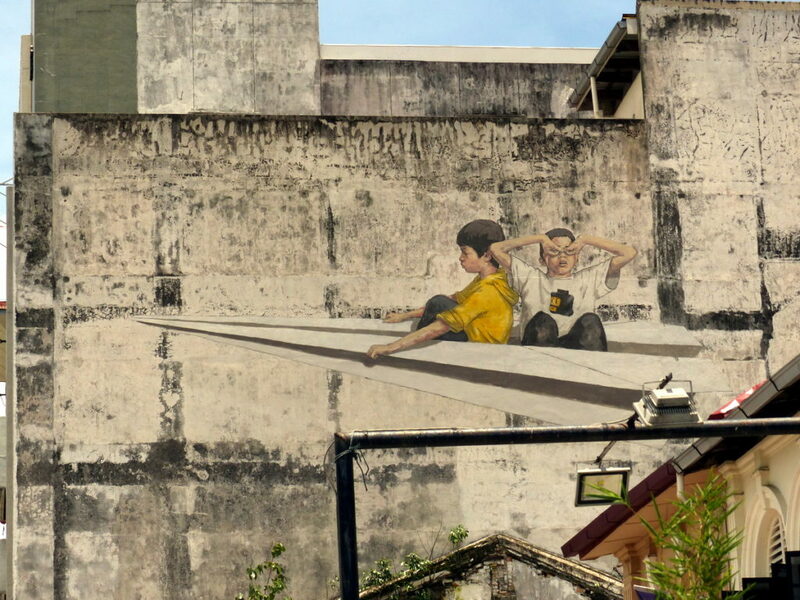 This mural is located just beside the bridge connecting the A’ Famosa area and Jonker Street. 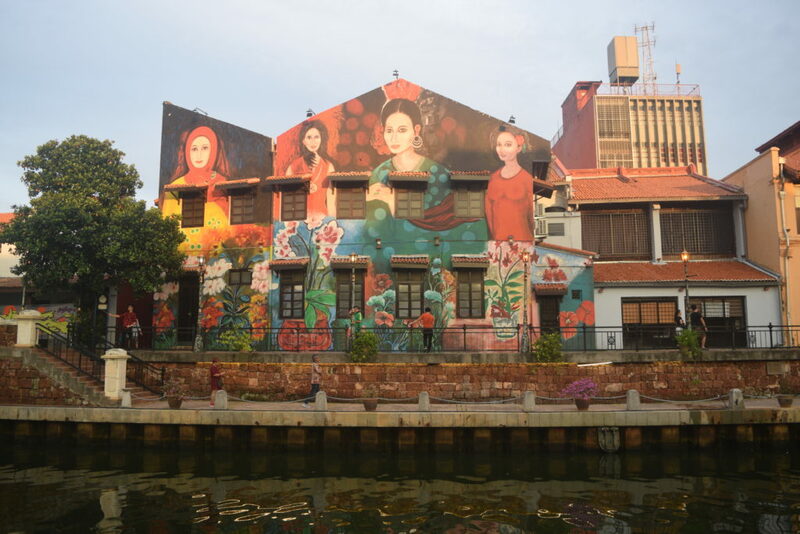 Hunting for the murals is a great and fun activity to do in Melaka city especially when you’re not on a tight schedule. However, be prepared to embrace the crowds of tourists on weekends. Melaka has been a popular weekend getaway spots for people in Kuala Lumpur. Both locals and tourists love Melaka for the great food and vibes. 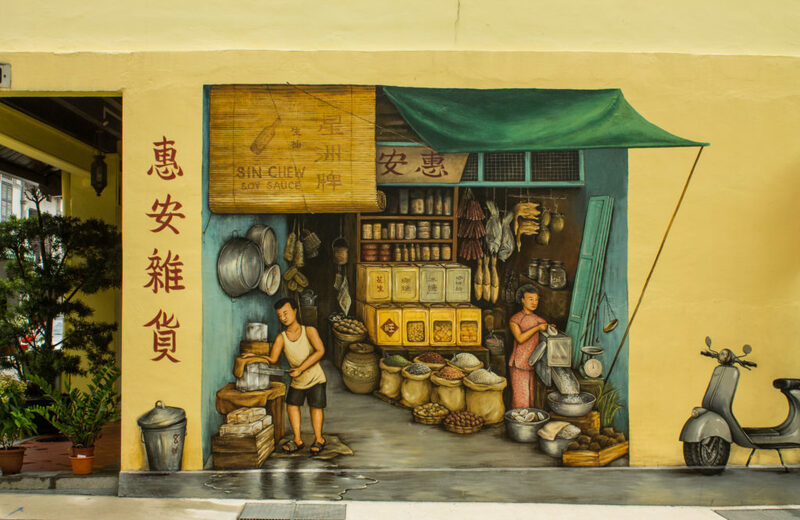 Murals are commonly found in old cities in Malaysia like Melaka, Penang and Ipoh. But those in Melaka are comparatively larger and more colorful in my opinion. Murals are of course not the highlight but it sure colors up the city. Singapore is for sure one of the best cities in the world. And what I love about it has impressive neighborhoods where you can enjoy a pleasant walk. And also indulge with some fine street art. This is the case of Everton Road, where the mural paintings will make you fall in love with them. What makes them so unique is the fact that they look so real that you have the impression that the walls are alive.The murals are painted by Mr. Yip Yew Chong, who got captured by the street art in Malaysia’s Penang and decided to make a version of his own on the street which he walked on for more than 20 years. The results of his ambitious project are nothing less than impressive and will probably become an attraction for the tourists visiting Singapore. Among the murals spread on Everton Road is one of a provision shop that looks so genuine that you could easily walk towards it and start talking to the people depicted in it. Street art has its charm, but not all works of art covering city buildings manage to instill such a live feeling. The Ihwa Murral Village in Seoul lies just behind the busy shopping district, Dongdaemun. The neighbourhood used to be in a very bad state and was one of the poorest areas of the capital mainly home to elderly people and poor families. The government created the project “Art In The City” in 2016 to improve the living conditions off the area and to create commercial opportunities for the inhabitants by filling the area with giant mural paintings and art installations by over 70 different artists. Now the village is filled with cute boutiques, souvenir shops, cafe’s and galleries which attract lots of foreign and local tourists all year around. 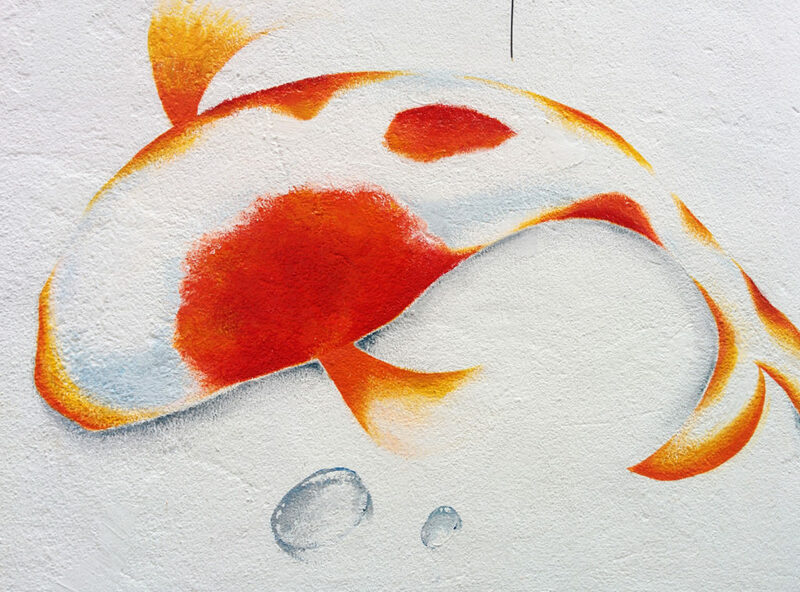 The most famous mural paintings are the giant colourful fish, painted on walls and staircases. 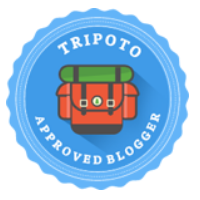 See here for a Seoul 5 Days Itinerary. 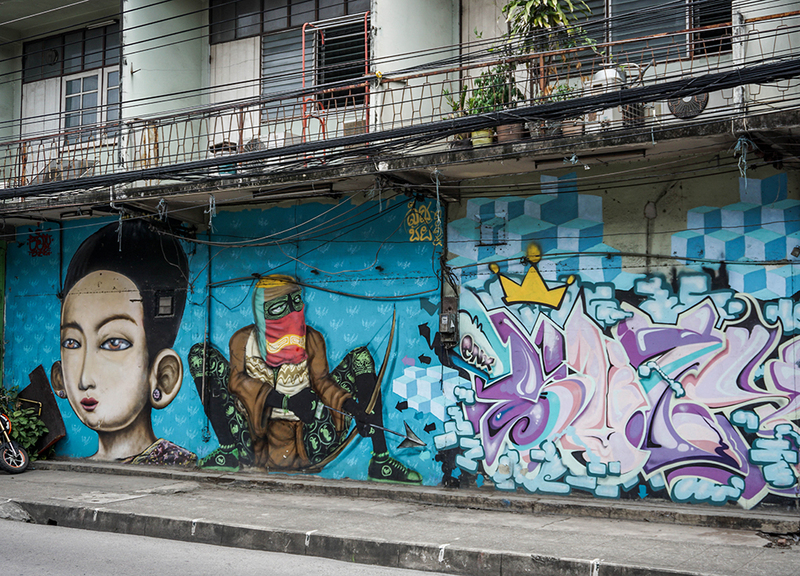 Bangkok has a hidden street art scene that many do not know of. You only have to start exploring the right area to discover a whole collection of huge wall murals. However, if you don’t know what your looking for you might easily miss it. These artworks have been created by a range of well renowned local and international artists as part of the BUKRUK Urban Arts Festival including, Daan Botlek (the Netherlands) and Nychos (Austria). The BUKRUK Festival has now been ongoing since 2016, as the collection of artwork continue to grow. The majority of the artworks are located in small alleyways between the Chao Praya River and Thanon Charoen Krung. This is the area stretching from Saphan Taksin BTS station to Chinatown. Try Charoenkrung Soi 28 and Soi 32 for a start, and then continue wandering from there. Until recently Thailand was never really an “artistic” destination, as the height of creativity, possibly vandalism, around the 2000s was prevalent tagging and sticker bombing, such as BNE. But street art really has kicked off in the past few years, almost feeling like a tourist initiative in parts, which would be best seen in the northern city of Chiang Mai. Where the emergence of graffiti follows similar cultural cities, such as Georgetown, Penang, as the art and creativity of graffiti has been embraced rather than opposed. Because Chiang Mai is the perfect place for it, as unlike other cities in Thailand, there is a laid back feeling with locals, known as “Ta Ton Yon” locally which means “chilled” or “slow-moving”. And this goes more for the somewhat hip sois and backstreets of the Nimman area (Nimmanahaeminda Road) which is gradually being painted over wall by wall. Generally pieces do follow local creativity, with themes of Buddhism, folklore, or just symbolism from the old Lanna Kingdom and the north. However some of the more prominent pieces came during the latest coup and military rule in Thailand, at a time when critics were silenced, and frustrations were instead expressed through imagery in street art. And these days Chiang Mai is an exciting city to just explore the back streets and avenues with new street art popping up all the time. The original home of street art is Newtown, in Sydney’s inner west, being the location of the famous heritage listed Martin Luther King mural created back in the early 1990s. It is one of the best places to see some of the finest street art on offer in Sydney. Located just 3kms from Sydney’s Central Station, you can easily catch a train there directly from the city and spend a day wandering around the bohemian suburb and outdoor art gallery.Sydney is an incredible place to see some of Australia’s best street art, with artists from all over the country heading to town to create some amazing pieces of art. Newtown is also home to an eclectic mix of vintage stores, bookshops and some of the finest eateries that Sydney has on offer. Head to King Street to start your Sydney street art adventure and spend a day discovering great eats and arts. 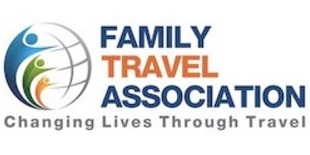 Contributed by Michela from Rocky Travel. Melbourne is known as one of the top cities for street art in the world, and its murals are regarded as one of the top attractions when visiting the city. 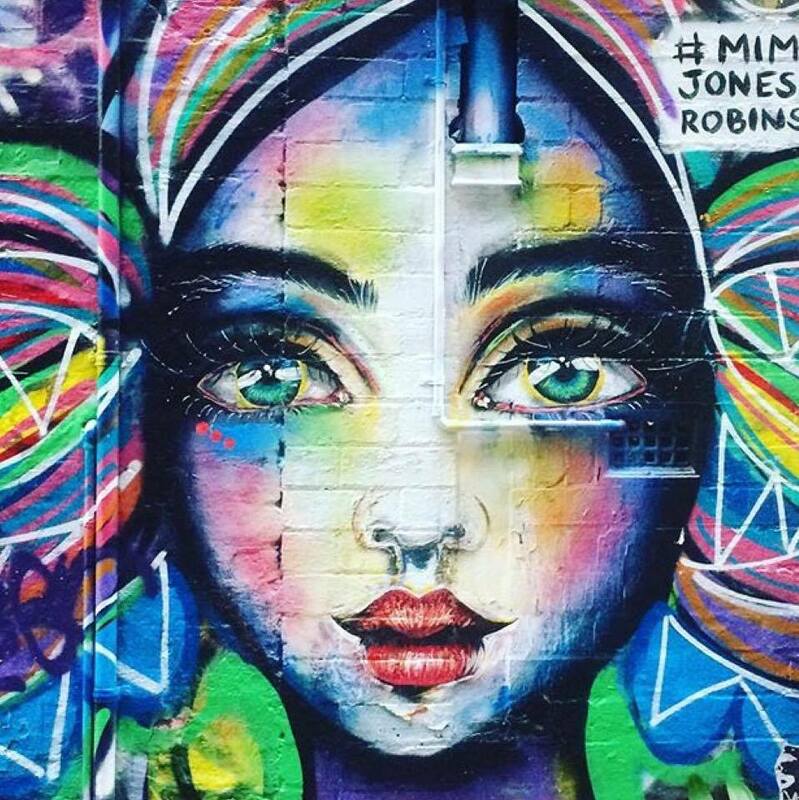 If you like art, you can spend hours strolling along Melbourne laneways and taking photos. In the CBD the most touristy and iconic streets are AC/DC, Union and Hosier Lane where travellers flock to admire the artworks by various local and international artists. But there are many more areas in Melbourne worth checking out for gorgeous street art. Collingwood and Fritzoy district – about 20 minutes walk from the CBD – boasts funky places and unusual artworks, like themed flowers, giant birds and animals, memorabilia, and unique abstract art. The whole area extends to Brunswick where you can witness one of the individual projects with the Rose Car Park which was fully decorated with murals and completed in 2014 and the Grace Cafe with some of the most spectacular inner decoration. The cafe’s outer walls are also beautiful, representing part of the famous painting from Michelangelo in the Sistine Chapel in Rome. Since most murals are not permanent – some change weekly – you can keep going back to see the new additions to the beautiful Street Art of Melbourne. With the rise in popularity of street art in the 1980’s the first place for it to gain traction in Australia was in Melbourne. Whilst originally much of the work started out using spray cans there are now many forms including sticker, tape and string art, sculptures and stencil graffiti. One of the most talked about and widely visited in Melbourne is Hosier Lane and its close neighbour Rutledge Lane in the CBD. Local and international artists use the walls as a temporary canvas for their works including world renowned Will Coles, Mayo and French artist Blek le Rat. Other places to see some of the best work in Melbourne include St. Kilda junction, the huge explosion of colour from Monarch Street off busy Acland Street, Chapel street and various places around Fitzroy. In fact you would be hard pressed to find a laneway or alley in Melbourne that does not have some sort of street art on it. 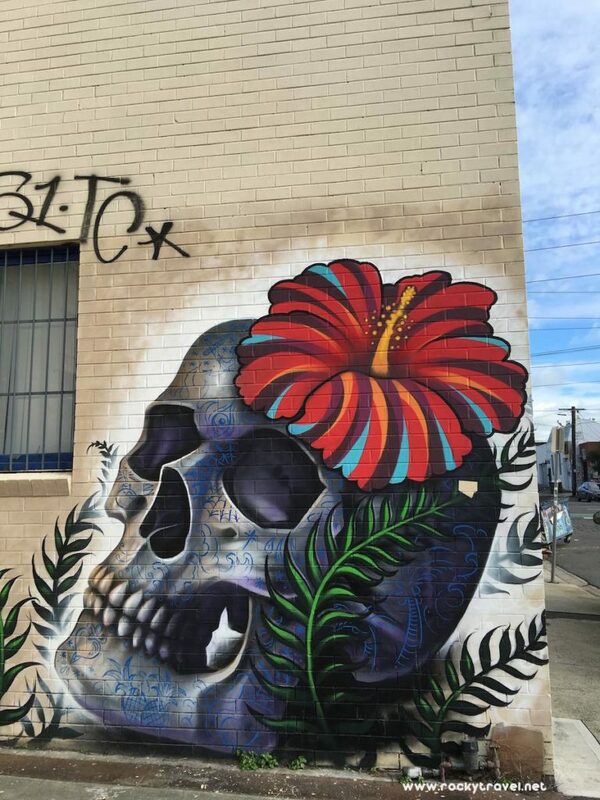 The street art scene in Adelaide, South Australia, has exploded in the last year due to a change in government policy officially recognising and protecting the art form. As such, there are amazing murals popping up around every corner. While they can be found all over, some of the best places to spot the murals are in the laneways off of Rundle Street and Hindley Streets. World renowned artist Jimmy C is from Adelaide and his work can be seen all across the city. While most commonly street art is thought of as wall murals, there are also other mediums used and Adelaide has a variety. Yarn bombing can be spotted around the place, and one of our other local favourites are the little pictures of the ’90’s phenomenon, the Furby, that are appearing in all sorts of places. A local artist has been sticking them in little nooks and crannies to make people smile as they come across them. The Adelaide city centre is the hub of the street art movement, but if you would like to explore street art further, check out the suburbs of Bowden which has a self-guided street art walk, and Port Adelaide, which has taken part in two Wonderwalls festivals over the last three years. Both are worthy of visits and can be easily reached by train. Perth is catching up to the rest of the world with its street art scene. It’s become increasingly apparent in recent years that Perth has an infatuation with public art. I love wandering down alleys and behind inconspicuous building in Perth to discover new, vibrant street art. Unique murals transform unpretentious walls with bursts of colour and life and jaded inner city laneways get a new lease of life. 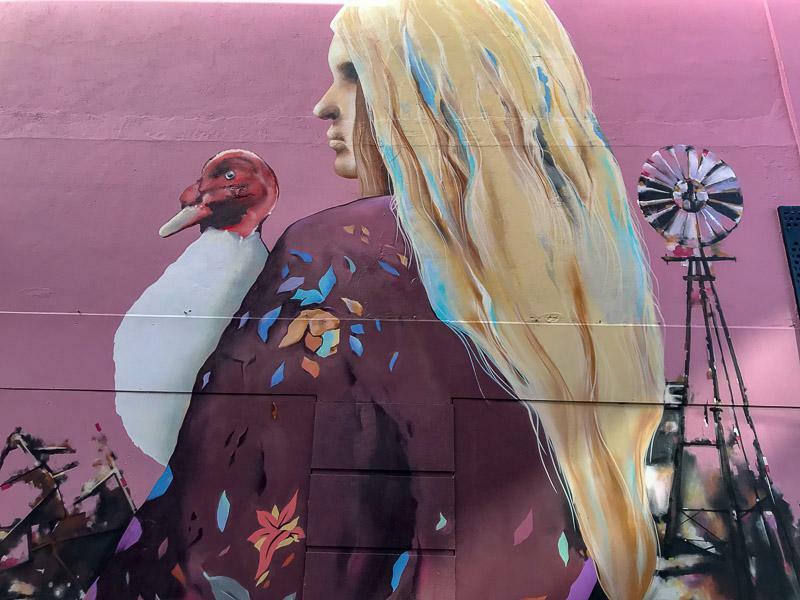 These incredible murals now challenge Perth’s dullsville label and invite people to explore indistinct and ordinary parts of the city transformed with creativity into magnificent precincts. Through a kind of rebirth the State buildings in Perth have been transformed into a luxury hotel and their restaurant, Long Chim has converted an outdoor courtyard into a vibrant basement chic eatery with the addition of a mural. Painted by international street artist Alex Face this heritage building has a new lease of life. This renowned Thai artist has painted Baby Mardi, an instantly recognizable grumpy faced baby character. It is a small child dressed in an animal suit, with a third eye always on guard. This is his signature character. If you are into street art, you will definitely love Istanbul, Turkey. As the city is divided into two parts and has an Asian and a European side, you can easily spend an entire week exploring the different art pieces, read the various messages in them and be amazed at how large street art can actually be. Our favourite place to go in Istanbul for street art is Kadiköy, which is located on the Asian side of the Turkish capital. Hop on a ferry at the pier of Eminönü, enjoy the picturesque ride and get ready for some stunning street art. In 2012 numerous international street art artists were invited to Istanbul to take part in the Mural Istanbul Street Art Festival. 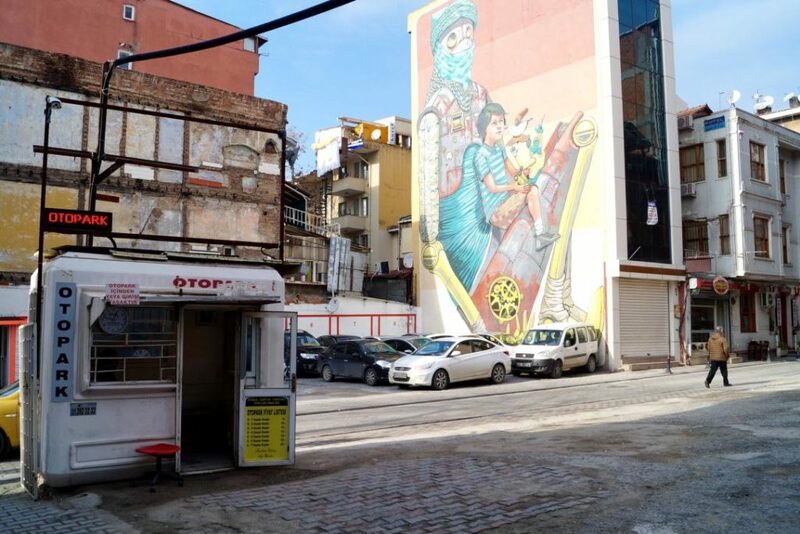 This turned the entire area of Kadiköy and especially the Yeldeğirmeni neighbourhood into an open-air museum for street art. Today, you can easily walk around the various streets and find your own favourite art piece. Dubai is known for many things – skyscrapers, shopping, gold and much more. However, Dubai is rarely known for its street art, but don’t be surprised if you find some cool and fun murals along the way. There are several spots where you can find murals – e.g. at City Walk and JBR Walk. My favorite street art is, however, at La Mer. La Mer is a newly created beach front area in Jumeirah area and has a lot to offer. Restaurants, shops, a beach section and….murals. A lot of them. The murals don’t really have any political message and are rather cute and fun. Just keep walking along the different restaurants and shops and make sure to plan in enough time so you don’t miss out on any. 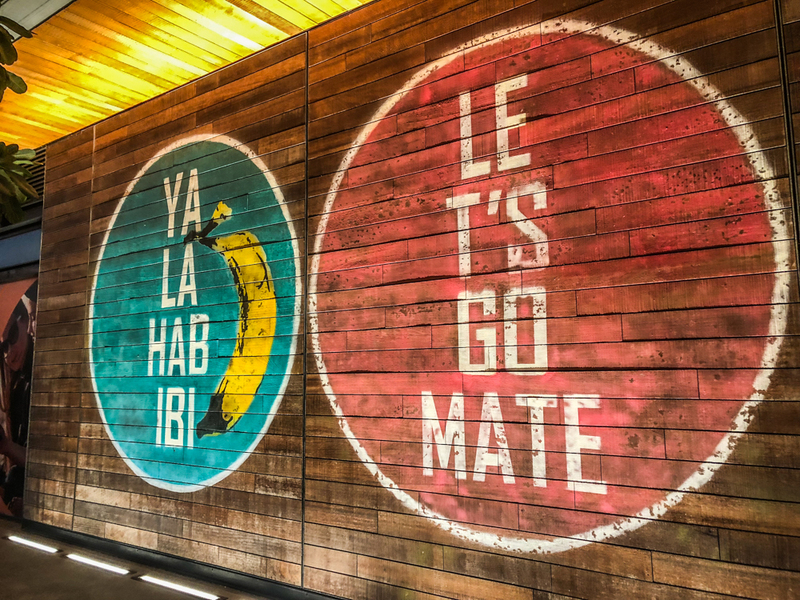 Discovering the different murals is one of the best things to do in Dubai. While there wasn’t any mural that I did not like, I had, of course, some favorites. The angels wings, the “Stay cool“ mural or the „Life is beautiful“ mural – but before I say too much, I recommend adding Dubai and La Mer to your itinerary and convince yourself that Dubai it is only about skyscrapers, gold, and shopping. So, yallah let´s to go Dubai! 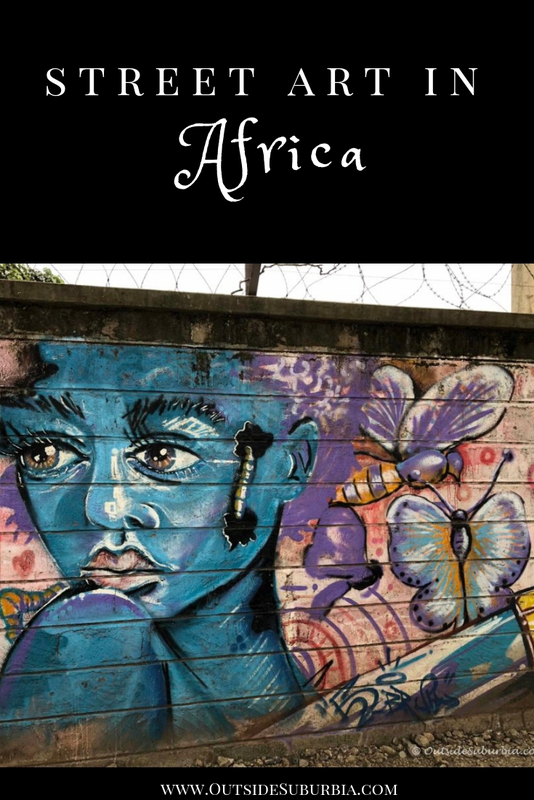 If you know of other murals that you would like to add to this ever growing list send email to [email protected] with subject line “Street Art Around the World” with a horizontal image and text about the mural in 200 words. 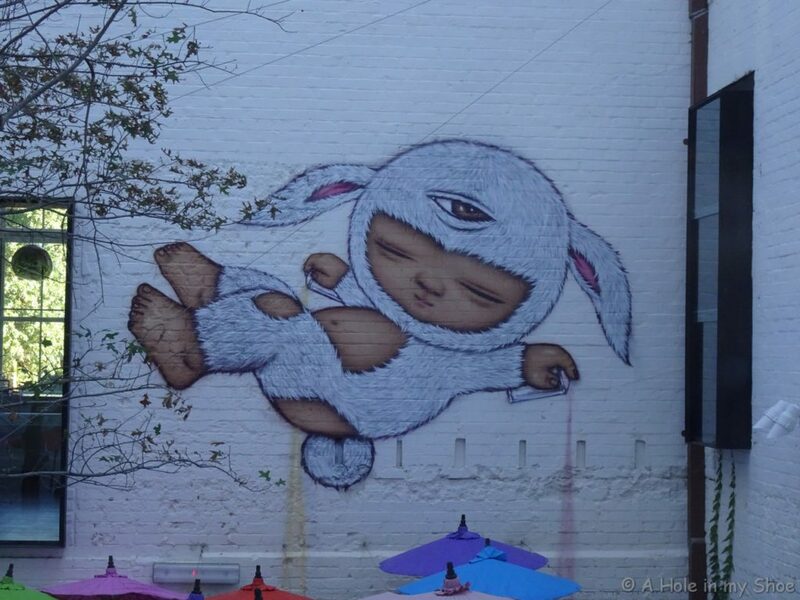 Its so cool to look at all this street art around from all over the world. There is plenty in Melbourne and its quite good too! Great pics! I too love street art. I especially love the ones you captured. If you find yourself in Moscow in the near future, street art is plentiful there. Also, have you ever been to the Berlin Wall, which is now practically an art installation? Lovely post! I love finding street art and murals when I travel. I think because street art is accessible to such a wide audience, and it helps to make what would usually be a drab building or wall into something beautiful. All of these pieces are fantastic, but I always love the large scale pieces that cover a whole building like that one in Melaka, Malaysia.